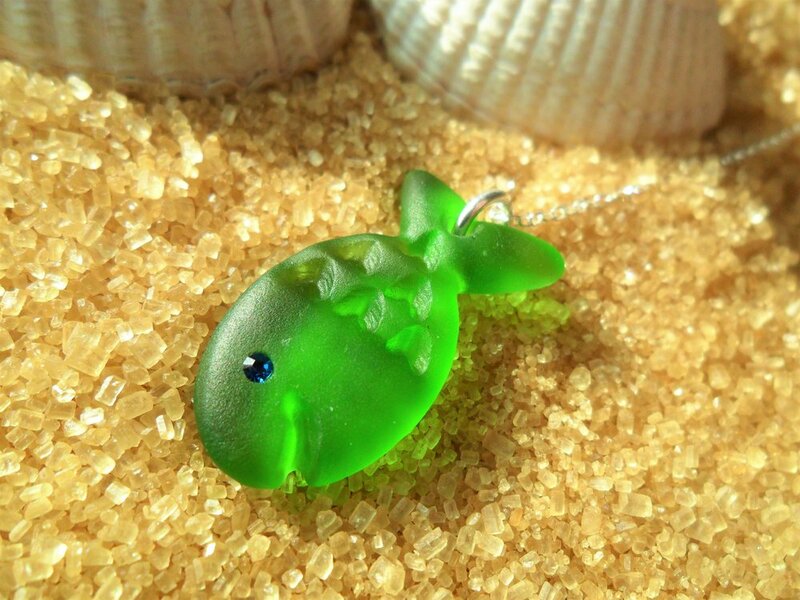 Sea glass is one of the world's great "trash to treasure" stories. So what is sea glass? Quite simply it begins as bits of broken bottles, jars, and other glassware, discarded and tossed into the sea, only to eventually be returned for someone to find and carry away. 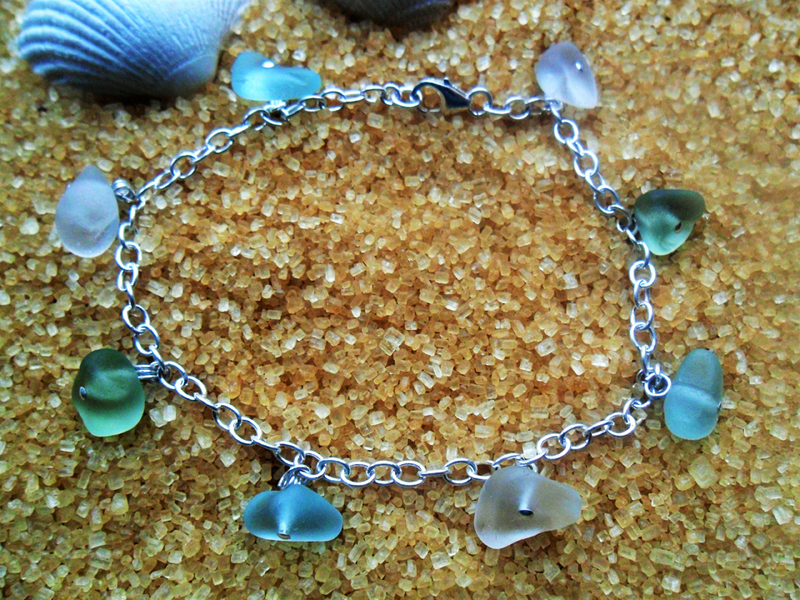 Sea glass has existed as long as mankind has had the skill to manufacture glass. You have to realize that decades, even hundreds of years ago, it was not uncommon for rubbish to be discarded into the sea - because the currents carried it away. While it's romantic to think that all sea glass can be traced to a historical shipwreck, most of it was just worthless, discarded trash. These jagged shards of glass can spend years, decades, even centuries being tossed around by the currents and the tides, bashed repeatedly against rocks and then dragged back and forth, back and forth over the sandy sea bottoms as Mother Nature shapes, smooths and polishes her works of art. The end result are man-made and nature smoothed glass pebbles of many colors ranging from the very common white, green, and brown, to less common aquas and blues, to the even more rare blacks, purples, pinks, reds, yellows and the ultra-rare oranges. Blue seaglass, especially cobalt, often referred to as sea sapphires may have originated as a bottle of "Milk of Magnesia" or "VapoRub" or even poison. Red sea glass, or sea rubies might have started out as an old broken automobile tail light of traffic light lens. Lovely seafoam green glass is most commonly attributed to pre-1960's Coca-Cola bottles and other soft drinks like Dr. Pepper and Mr. Cola. The color falls between common and rare as it is no longer widely used. Sea glass can be found worldwide. Scotland is well known as a prime location for hunting sea glass, likely in no small part to its being (with the land border of England excepted) an island bound on three sides by the ocean. Mainland Scotland is further surrounded by hundreds of islands and the sea lanes between them were and are like roadways for travel - and where there are roadways, there is litter, it's a common failing of man. Sea Glass Beach, Fort Bragg, California, USA is one of the world's most popular locations for sea glass fans. Three glass factories once operated here through the decades and account for the enormous amounts of glass found here. Part of the beach is a state park and collecting is restricted. 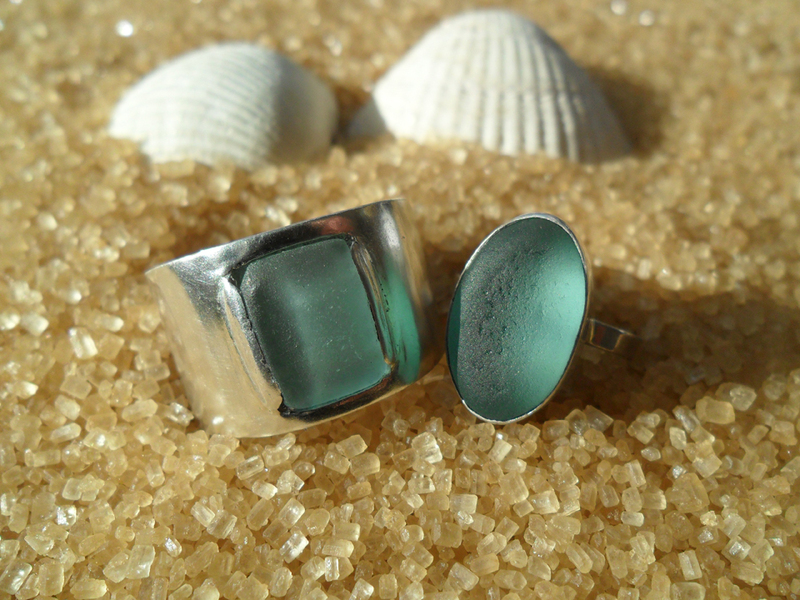 Gaynor Hebden-Smith has been fascinated with sea glass for as long as she can remember, longer really. 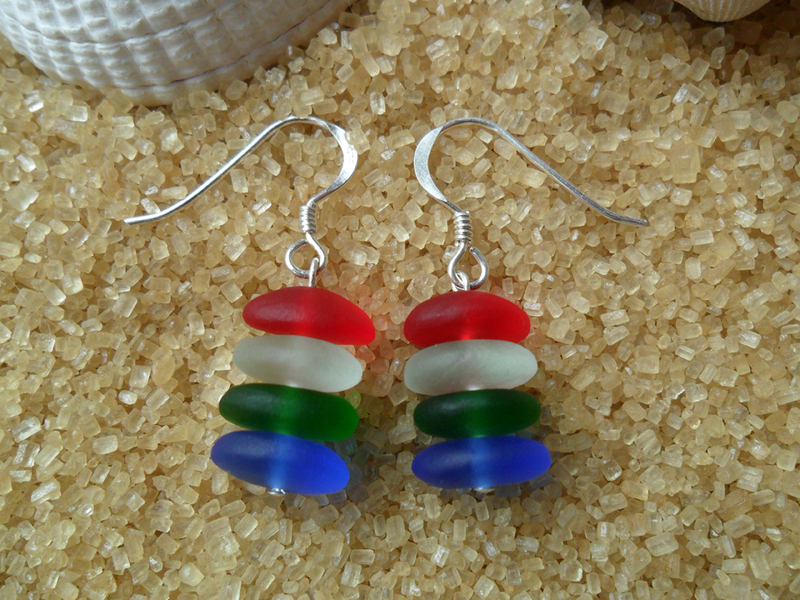 Almost ten years ago she left her work as a health care professional and decided to launch a jewellery making career using the natural resources of sea glass. From a meager beginning of selling her creations at craft fairs her jewellery is today found in more than 100 gift shops across Scotland and she has created bespoke commissions for clients around the world. Her advice for finding sea glass? Seek out beaches where there may have once been glass factories (as along her home coastal region of Fife) or where pubs and restaurants are or once were abundant. Don't expect to find a lot of glass on those touristy, white sandy beaches, instead she suggests looking along more rugged, rocky shores. Fortunately Scotland has ample supply of both. In general she says, just "get a bucket and go." 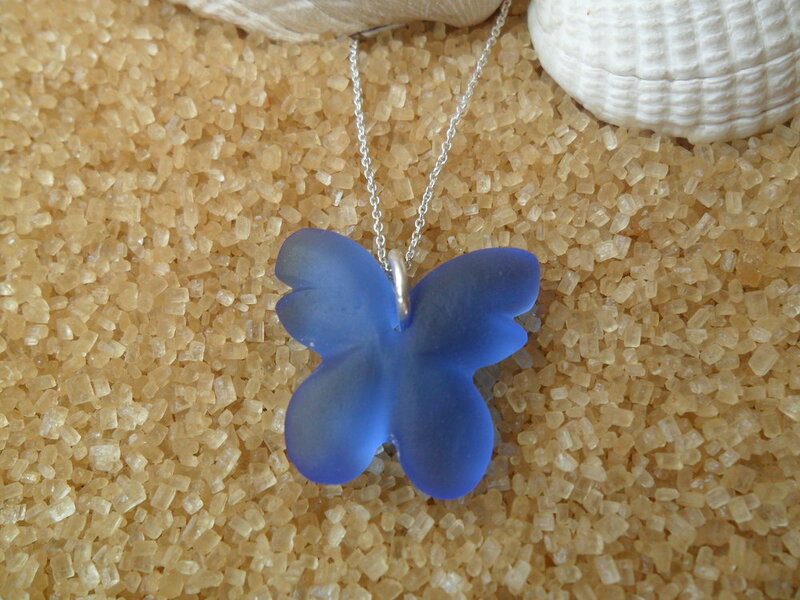 Gaynor's sea glass jewellery includes a wide range of products including hand carved bespoke pieces done by commission. See her shop at www.ScottishSeaGlass.co.uk. Click on ech image to enlarge. Other experts suggest the best time to look for sea glass is early morning or late in the day when the sun is lower on the horizon and bits of glass may glint in the light as sea glass does not generally shine or reflect light given its powdery, opaque texture. Searching after a storm or during a full moon can prove successful too as that's when tides and coastal wave action are the strongest. Sea glass is getting harder to find, in part because less trash is dumped ito the oceans, more so because more and more products are packaged in plastic and sadly plastic does not break down in the oceans like glass, and partly because collecting sea glass as a collectible, for various art & craft projects, or for selling on as Gaynor does in the form of jewellery and other items, is becoming increasingly popular. Beyond its natural beauty there is a romantic side to sea glass; it's often referred to as "sea jewels" or "mermaid's tears." Legend has it that whenever a sailor drowned at sea, mermaids cried and the sea glass pebbles are their tears washed ashore. Note: The beaches Gaynor references in Scotland are Petticur and Elie.